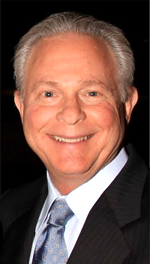 For the past 40 years, Alan Ross has served clients in the greater New York area. His practice offers a wide array of legal services, from probate matters to real estate, and in each case he brings his many years as a seasoned professional to the table. He prides himself on personal service and will be there to walk you through every step of your case, explaining to you the issues as they stand and how best to protect your interests. If you need any of the services listed above, call Alan or use the email form on our Contact page, and you will see how 40 years of experience can benefit you. The material in this web site is for informational purposes only; visitors should not rely on the information as advice or as a consultation, but should consult a lawyer about their specific legal issues. © 2010 Alan Ross, Attorney At Law. All rights reserved.